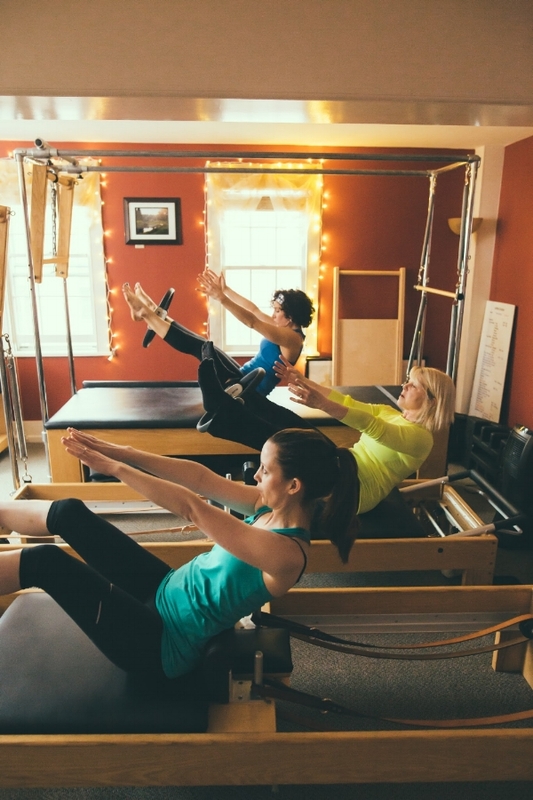 THE INSIDE SCOOP ON… The Pilates Room! 10 sessions to FEEL a difference. 20 sessions to NOTICE a difference. 30 sessions for a WHOLE. NEW. BODY. Did you know that Pilates was created in the 1920’s by a man named Joseph Pilates? A firm believer in good posture and intentional breathing, he originally invented a unique exercise program, (then called “Contrology”), and opened his first studio New York City in 1926 with wife Clara. Since the debut of Pilates, this dynamic form of exercise and strength training has become a popular fitness regime that focuses on overall body strengthening, flexibility, mobility, and mind-body awareness. The most wonderful feature of pilates, in our opinion, is that it’s do-able for almost everyone — whether you’re a well-seasoned athlete in your 20’s, are returning to exercise in your 50’s, or are continuing a healthy lifestyle well into your 80’s, pilates provides benefits to all ages, abilities, and walks of life – a functional form of training that can be modified to fit any fitness level! If back pain, knee issues, or sore joints are keeping you from performing your best or hindering performance while doing physical activities such as cycling, running, playing tennis or golf, pilates may be that special something that can positively change your life! 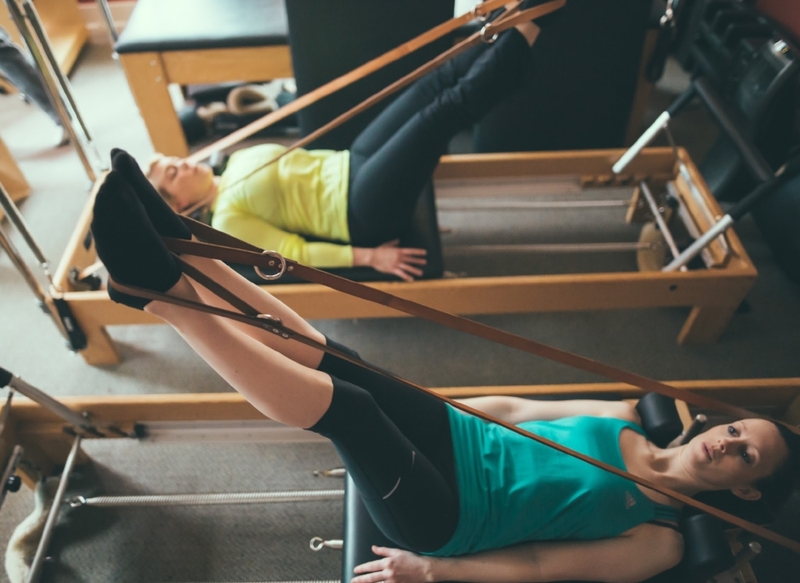 Reformer machines and specialized equipment used at The Pilates Room in downtown Portsmouth offer spring-loaded machines, sliding carriages, straps, foot bars and head rests that eliminate all pressure on joints, while simultaneously building core muscles, overall coordination, balance, and body strength – a “win win”! 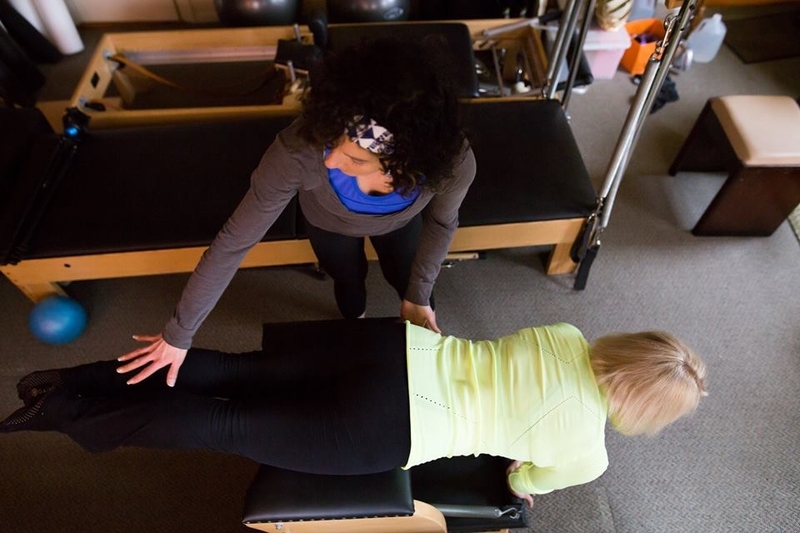 Bring a friend and try the *new client special* with Michele at The Pilates Room! The new client special includes a *complimentary* spinal alignment and postural analysis as part of your 30-minute consultation. Call 603. 817. 4829 for rates and to book your appointment! Just tell Michele Seacoast Lately sent you! *30-minute Pilates HIIT, group circuit classes, yoga classes, and off-site sessions are also offered by Michele. Learn more here.